Save valuable space while protecting fleet investments with BHS Battery Stands and Charger Stands. Custom designs and a wide range of optional features provide dependable storage for forklift batteries and chargers of every style. BHS product specialists can help you design the ideal battery room, with stands for complete Operator Aboard Battery Extractor Systems, Carriage Systems, and vertical extraction lift truck fleets. Explore the links below to learn about our durable storage solutions for forklift batteries and battery chargers. Call our sales team at +1 314 423 2075 to discuss the options. Forklift batteries and chargers require stands with specialty features not available from standard warehouse shelving. For side extraction fleets, Battery System Stands incorporate roller beds for ease of transfer. Vertical battery changes depend on heavy duty decking that can withstand the weight of industrial batteries, such as that found in BHS Hardwood Battery Stations. BHS Charger Stands help facilities remain compliant with two OSHA regulations: 29 CFR 1910.178(g)(2) and OSHA 1926.441(b)(2). These standards require employers to install specific protections for battery chargers. Securing chargers on anchored stands can help them avoid or withstand a forklift impact. – BHS offers battery stands that integrate seamlessly into both vertical and side-extraction applications. For lift trucks that use vertical extraction via Gantry Cranes, Hardwood Battery Stations provide a stable bed above floor-level, with drip pans available to protect floors from battery runoff. BHS Battery Roller Stands and System Stands reduce wear on battery cases by providing low-friction extraction for side-access battery compartments. Each battery bed features six acid-resistant, poly-sleeved rollers that prevent sparking. The size of your side-extraction fleet will help determine the ideal BHS storage system. BHS Battery Roller Stands can be installed alone or in rows, while BHS System Stands provide larger fleets with convenient, dependable access up to four levels high. – BHS provides heavy duty charger stands for every type of forklift battery charger, with a wide range of options for each. BHS Charger Stands secure free-standing chargers at all four corners, and can be anchored directly into the battery room floor. For larger collections of chargers, the Multi-Tier Charger Stand provides the same benefits with up to four tiers of dependable storage. Install a pair of wall-mount chargers anywhere in your facility with the Dual Charger Stand Kit, or if you use vertical mount chargers, the Vertical Charger Stand will store up to three on a single unit. – Think of your battery room as a complete, unified system. Stands and battery handling equipment should compliment each other to provide fast battery changes with a minimum of stress on machinery. 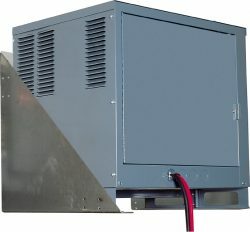 A BHS Operator Aboard Battery Extractor System pairs a traveling battery changer with corresponding System Stands, optimizing storage and battery handling for fleets of any size. BHS Carriage Systems are ideal for battery changing applications that do not require multi-tiered System Stands. In a Carriage System, Battery Transfer Carriages or Mobile Battery Extractors remove batteries from lift trucks, storing them in a customized bank of Battery Roller Stands. Forklift battery chargers sit on an attached charger shelf, a standard feature on all BHS Battery Roller Stands. – Forklift fleets expand to meet the material handling demands of a growing operation, and that can place more stress on an underdeveloped battery room. The solution is to keep battery rooms flexible. Battery storage capacity can grow quickly for vertical extraction fleets. Gantry Crane Systems feature a modular design for easy expansion, and Hardwood Battery Stations can be sized for any application, or built into existing storage lines. Side-extraction fleets can upgrade storage by adding additional Battery Roller Stands or switching to Double, Triple, or Quad Stack System Stands. BHS Battery and Charger Stands are highly customizable, with many available options to create a specially-tailored storage area for every application. Battery Roller Stands provide extended compartment depth to accommodate larger forklift batteries, and every stand can incorporate Cable Retractors to manage charger cables for worry-free cable management. Access product literature here for more information. To learn more about the benefits of BHS Battery & Charger Stands, contact a member of our sales team at +1 314 423 2075.